Youth Hostel Plakias - probably the most chilled out hostel in the world and winner of the Hoscar 2015 and 2016 as 'Best Hostel in Greece'. 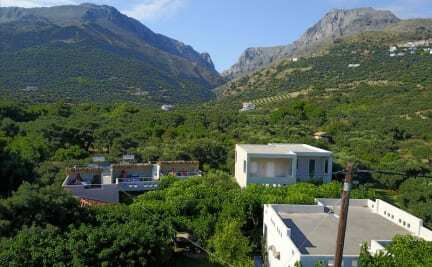 On the south coast of Crete, Plakias is a world away from the hectic north coast resort towns. Made of up bars and tavernas, surrounded by rivers, gorges and stunning beaches, Plakias is the easiest place to get stuck in; want a beach just for you and your friends? A waterfall you can shower under? Or regular big nights out with your fellow travellers? Then Plakias is for you. A local tour operator is organizing trips to the famous gorges Samaria, Aradena and Imbros. 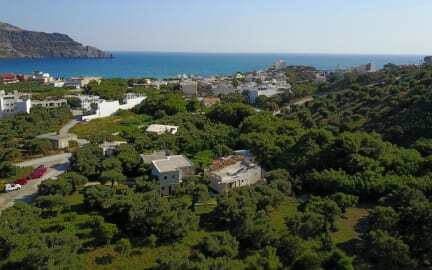 The hostel has six 8-bed dorms set in an olive grove with a large patio for socialising with your new found friends. We have free wi-fi, cheap beer and wine, cheap breakfasts (ideal for hangovers), free use of guitars, snorkels, flippers, river shoes and beach mats. We also have loads of information about the local hikes, beaches and other activities that can be found in and around the area. So come and take a break from your travels and make some friends in probably the most chilled out place on earth. There's a reason people keep coming back here. Please note: Reception is open 8.30-12.00 and 18.00-20.00. The hostel itself is open 2 weeks before Easter until the end of October. A late check-in after 8 pm is possible if you let us know in advance. Comfortable beds, well-equipped showers and great common area to chill out. Not so full at the end of the season but still amazing atmosphere and people. Read lots of comments before coming and I assure that all the nice things said about this place are true.